The FLIR E5 Compact Thermal Imaging Camera is the “second one up” in the FLIR family of lightweight and rugged infrared imaging devices known as the Ex-Series. FLIR describes the product as “the ultimate inspection tool” and many satisfied users would appear to agree entirely. The E5 has 120 x 90 IR (infrared) resolution which, coupled with FLIR’s unique and celebrated Multi-Spectral Digital Imaging (MSX) technology, means issues such as sources of energy loss, water leaks, structural problems, overheated circuits and hot and cold zones can be easily identified and highlighted for rectification. Whether the issues are industrial, mechanical or electrical this piece of apparatus can always be relied upon to find them. MSX technology is a means of enabling important information to be extracted from the device’s inbuilt digital camera, which it then overlays onto a thermal image, giving a high resolution radiometric picture of what is happening in real time. In essence it allows unusual or irregular activity to be identified with accuracy and acted upon swiftly. Operation of the device is simple and uncomplicated, with intuitive and user-friendly on-screen menus and ergonomic buttons which permit one-handed usage. The advanced technology incorporated into this simple handset makes this camera a highly efficient as well as economical replacement for old-style IR thermometers. The F5 camera has a resolution of 120 x 90 pixels. 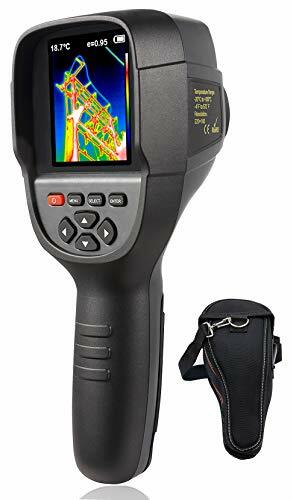 Featuring game-changing MSX technology, it captures and stores visual, thermal and MSX images each with a pull of the trigger, and all temperature data is then retained within the thermal images. 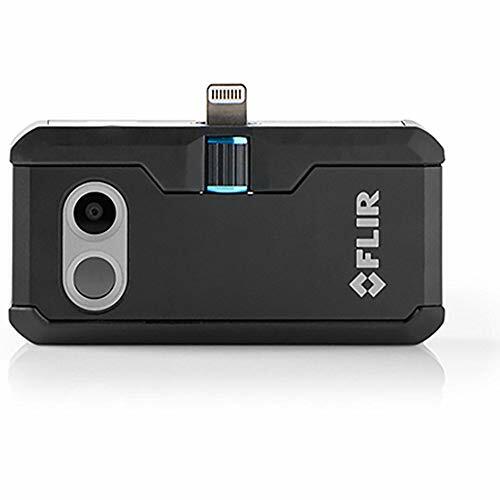 The FLIR mobile app means wi-fi connectivity with any smartphone, laptop or tablet, making it much easier to share images and send reports from any location, and therefore to take important decisions more expeditiously. 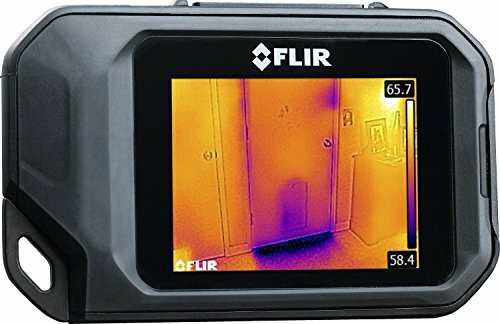 Despite the focus being on affordability FLIR has been unwilling to compromise on effectiveness and accuracy when it comes to the diagnosis and swift rectification of electrical, industrial and mechanical problems. Its built-in technology gives it a clear competitive advantage over its rivals. The package includes free FLIR tools reporting software to report images, study data and generate detailed reports for companies, customers and prospective homebuyers. 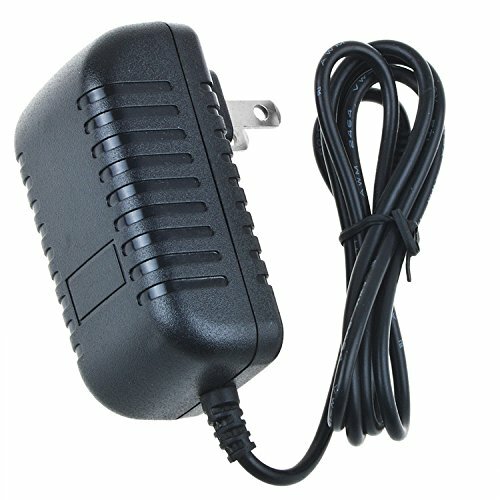 It also comes with a quick-release rechargeable li-ion battery and a host of other accessories including external battery charger, a USB cable, software for PC and Mac OS, a universal power supply/charger with four plugs and a dedicated user manual – as well as a robust case for safe carriage and transportation of the device. Reviews demonstrate that this is a popular product, taking the more or less unanimous view that it is a high-performance appliance which does everything it claims to do. Furthermore it offers great value, with its affordable price and the range of functions it boasts which make any further investment unnecessary and superfluous. Criticisms, and they are very few, tend to centre upon isolated flaws identified in isolated pieces of equipment, from which the generous and imaginative 5-10-2 warranty which accompanies the device offers ample protection in any event. 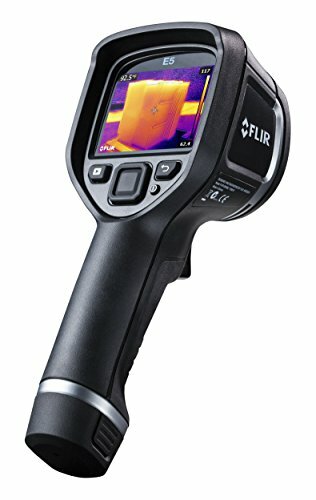 FLIR does include higher-range models in its portfolio of compact thermal imaging cameras for even greater resolution, however reviewers seem to like the combination of precision and economy which the E5 specifically offers. The consensus view is very much that for the price it asks this device punches very much above its weight. Overall the view of this product as expressed by commentators is highly positive, focussing primarily on the value for money that it undoubtedly provides. This theme is repeated throughout the review pages fairly much from beginning to end. Clearly the E5, alongside its sister products within the range, have acquired a good amount of customer loyalty from those who are familiar with its functionality and its work. The E5 Thermal Imaging Camera combines value with deadly effectiveness, making it a must-have for any individual or business with need for such a product. Other than the E4 this is the cheapest model in the range, yet still employs all the most sophisticated and effective technology to pinpoint sources of clogged pipework, absent insulation, leaks, condensation and other irregularities, enabling remedial action to be taken without the need for unnecessary drilling, probing, or investigation and analysis which can be both time-consuming and somewhat expensive. Its use of exclusive MSX technology makes for flawless resolution whilst its easy-to-navigate features facilitate confident use by all from the most experienced to those least familiar with the process of thermal image navigation and analysis. One of the real attractions of the E5 is that it offers wi-fi connectivity to any smartphone, tablet, laptop or similar device. This is important to users who might need to send reports or share information gathered by the device promptly, without having to wait until the data can be manually transferred. With the technology which is on offer images and information can be transmitted to third parties within a minute or so of it having been acquired by the camera, thus enabling important decisions to be taken almost instantaneously. This device is accompanied by a generous 5-10-2 warranty, offering full coverage on labour and parts two years after purchase, as well as guaranteeing the battery for five years, and the IR detector itself for a full ten years, allowing you peace of mind when using the equipment. It is easily handled and transported, providing the perfect replacement for traditional infrared thermometers. 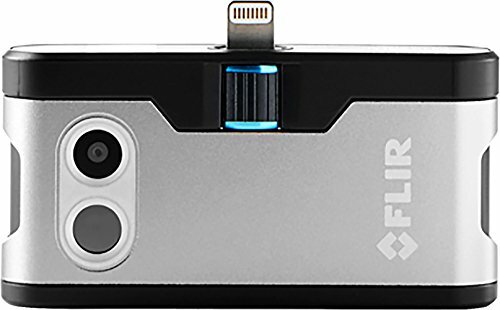 The FLIR E5 comes in a strong and solid protective case for portability and safe storage.